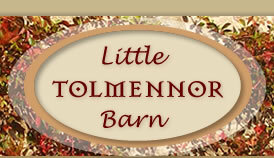 Little Tolmennor Barn is in a quiet rural area. It is a double storey barn with an internal stairway comprising of 11 risers with a handrail. Access to the front door is by stone paving and 2 granite steps. The nearest village of Breage is 1.5 miles away and can be accessed by footpath across fields or by minor road. Please telephone or email us for any specific queries you may have. 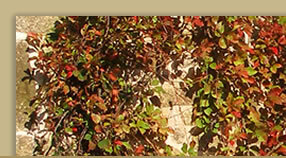 Parking is adjacent to the barn in a paved yard giving easy access to barn entrance. 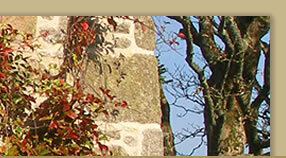 Access to front door is by 2 granite steps (15cm high) and 20 metres along stone paving. Entrance into stairwell which connects to bedroom or upstairs kitchen and living area. Wood flooring throughout, bathroom tiled. Door lintel height 5' 4"
Dining table has under space of 70 cm. Chairs have no arms. Pine wardrobe, pine cupboard, two bedside tables and glass dressing table. We do not have a telephone in the barn but the house phone is available in an emergency. Wireless access is available in the house by request. The barn is ready for incoming guests at 3pm and we ask that guests vacate the barn at or before 10am at the end of the holiday. No smoking inside the barn please.